When WNY Refresh Editor Scott Scanlon asked me to write for this blog, I immediately thought of all the people who suffer quietly with Irritable Bowel Syndrome (IBS). And how much better off we’d all be if we could start sharing more openly about our symptoms and their impact on our lives. When I was diagnosed with IBS at the end of 2011, I’d already been experiencing – and hiding – embarrassing symptoms for months. Earlier that year, I’d been hospitalized for a non-gut related matter and received what doctors called “cocktails of antibiotics.” I was released and sent home, but my digestive system was a mess – exhibiting new and troublesome problems such a gas, bloating, urgency and messy stools. Lucky for me, my sister, Dr. Barbara Bolen, is an IBS expert. Initially, she suggested trying probiotics and later – once I’d gotten an official medical diagnosis of IBS – the low-FODMAP Diet. This short-term elimination diet is designed specifically for IBS and aims to restore health to the digestive tract by keeping track of what you eat for several weeks in an effort to identify troubling foods. The diet is tricky, but for me it was very rewarding. 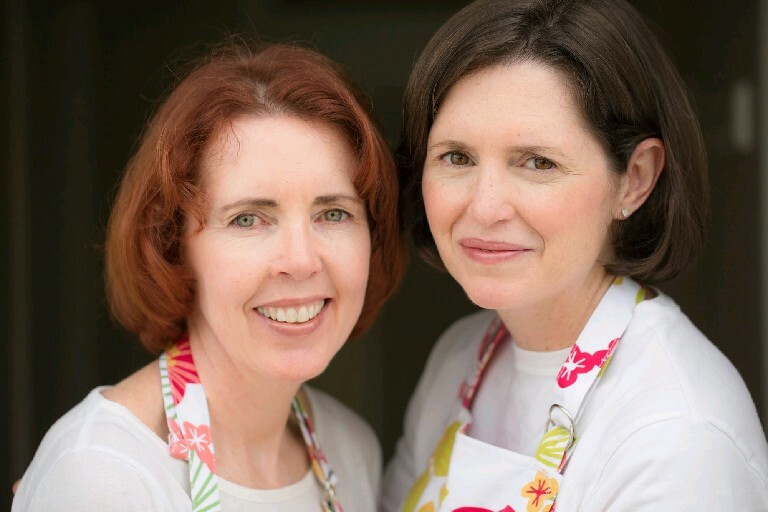 Together, Barbara and I co-authored the book, “The Everything Guide to the Low-FODMAP Diet.” This how-to/cookbook features 150 delicious, nutritious gluten-free recipes and is available in Barnes & Noble stores and online via Amazon. As the diet calls for support from a dietary professional, we have created an online Low-FODMAP Diet Training Program. People with IBS who are seeking support can browse a Trained-In Directory of practitioners on everythinglowfodmap.com. Maureen Kemeny, a locally-based, certified health and wellness coach, is currently enrolled in the training program. This training will allow her to provide support to local residents who can benefit from following the diet. She can be contacted through her website at www.maureenkemeny.com. Directions: In a medium bowl, whisk eggs. Heat oil in a medium skillet over medium heat. Swirl oil to coat skillet. Add eggs to skillet and cook for 1 minute. Stir gently until eggs are completely cooked, about 1 minute more. Move scrambled eggs to a plate and cover to keep warm. Add diced tomato to skillet and sauté over medium heat 3–5 minutes. Season with salt and pepper. Divide eggs evenly onto four breakfast plates. Top eggs with tomatoes and sprouts, sprinkle with parsley and seeds, and serve. Directions: Preheat oven to 400 degrees F. Poke a few holes in each sweet potato and place in a small lined baking dish. Roast the sweet potatoes for 50 minutes. Refrigerate overnight. The next day, scoop out the sweet potato flesh and add to a food processor. Open the can of coconut milk and separate the liquid from the solid. Add solid to the food processor, along with the vanilla and maple syrup. (Save liquid from coconut milk for a smoothie or other use.) Blend well. Scoop into pudding cups. Serve immediately, or store in coldest part of refrigerator. Sprinkle with cinnamon just before serving. Infuse some pizzazz in your water glass. Add some vitamin C and immune-boosting ginger to your water and drink to your good health! Directions: Add all ingredients to an 8-ounce glass of water and serve. - Kathleen Bradley is a certified professional coach, writer and consultant who lives in Lewiston; learn more about her and her diet at everythinglowfodmap.com.